Want to sell your conversion van fast? Fill out the quick form below about your conversion van, and we’ll give you the market value for your van in cash! 1. 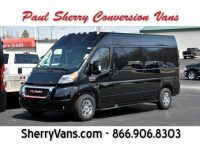 Fill out the form below, or call 1-866-906-8303 and ask for our conversion van buyer. 2. Tell us the year, make, model and condition of your conversion van. Our staff will contact you with 24-48 hours with a cash offer for you to sell your conversion van. When selling your conversion van, don’t just take it to any van dealer, bring it here to a conversion van specialist. We are always in the market to buy conversion vans of all years, makes, models, and conversion. *All offers dependent upon physical inspection. Offers do not include transportation costs. 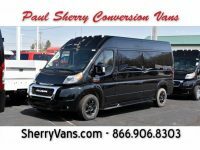 You must be able to get your conversion van to Paul Sherry Conversion Vans in Piqua, OH to complete the transaction. You can bring it yourself or hire a transportation service (transport companies normally charge one way $1.75 – $2.00 per mile).